The Fords plan to expand the extension Bible schools into new and needy jungle regions. They also want to establish a permanent campus in Iquitos. “The great thrust of our ministry continues to be the training of pastors and church workers,” Steve says. “Through every means possible our goal is to facilitate new works in the many villages that still lack a shining evangelical witness in their midst. Steve and his wife, Terry, arrived as missionaries to Peru in 1992. 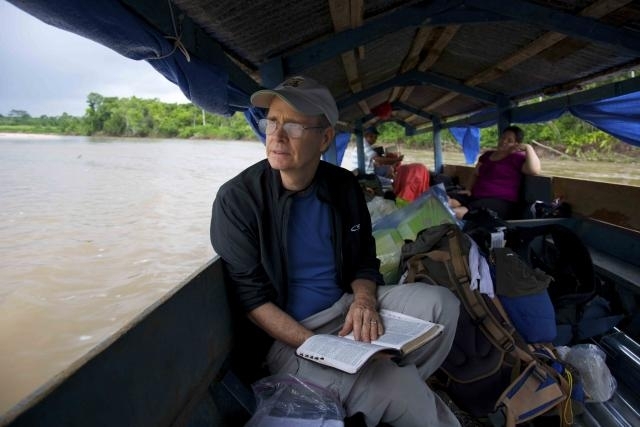 Initially they focused on planting churches among the mestizo communities surrounding the river port city of Iquitos. Over the years they have trained hundreds of pastors and assisted in starting 100 churches. Seven years ago, the Holy Spirit led them into their current ministry of planting churches among the least reached tribes scattered over Peru’s portion of the Amazon River Basin.